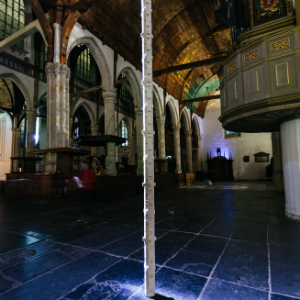 Thanks to the support of private individuals, companies, funds and the municipality, the Oude Kerk can realize special exhibitions and maintain the monument. 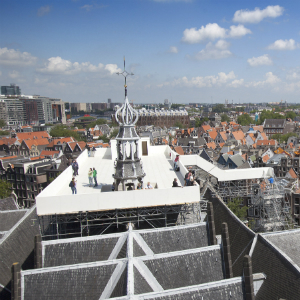 Due to this support, the oldest building in Amsterdam and one of the youngest art institutions in the country inspires around 160,000 visitors annually. For donors who regularly donate, we gladly give something in return. 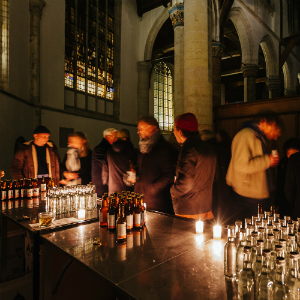 For lovers of heritage, art and music there are the Friends of the Oude Kerk and for organizations and companies there are the Ten Guilds of the Oude Kerk. The Oude Kerk is a Public Benefit Organization (PBO or ANBI), it does not have to pay tax on your gift. Whichever way you donate, you donate 100%. Donations to an ANBI are often also deductible for the donor, making it possible to donate 100% and pay only 40%. Click here for more information about the tax benefit.